Management is commonly defined as the alignment and coordination of multiple activities in an organization such as controlling, leading, monitoring, evaluating, organizing, and planning. Business Management is the process that helps accomplish the goals of an organization. Business owners use management skills to accomplish the goals and objectives of their company, use a mix of education, knowledge and expertise to run their company and each organization’s management has its own style, facts, features, tools, and considerations. There are many challenges facing any company, such as change, motivation, leadership, employees, economic conditions, and more. One of the important challenges is the wrong moves which in managing companies cause doubling of efforts and wasting precious company resources, other challenges may be in management definition which should be clearly understood by the manager, his / her executive and top management, and his / her employees. It is important that the role of the manager is understood and adhered to, where Managing is a lot more complex than just giving orders, being Effective – doing the right things is different than being Efficient – doing things right. KONTA provide business management consulting to all kinds of organizations and business owners who look to improve their existing business operations. Our strategic business & management consulting services focus on enhancing business performance of our clients by streamlining processes, reducing organizational risk & implementing effective business management model suitable for a particular system. We custom design and implement solutions for clients representing a variety of industries. This includes businesses in need of a positive turnaround, start-up businesses and businesses with a passion to achieve business success. Communication is one of the most important factors in any organization or relationship. Without communication, things do not work properly and can be mixed up. When you can communicate properly in a business then things run smoothly and there is no confusion. KONTA will be your partner to success; aims to deliver complex issues in a simple and clear way that will assist you in taking accurate cutting-edge decisions. 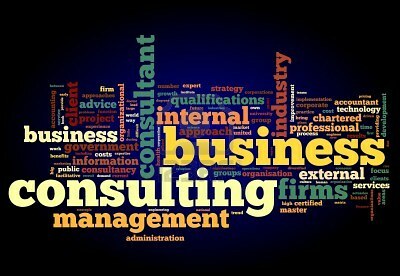 Our set of business management consulting services is custom designed to inspire excellence into your organization and to meet your needs and future aspirations. • Risk Analysis, Control & Management. • Performance Talent & Organization Performance Strategy.